Adderall, Ritalin, Vyvanse: Do smart pills work if you don’t have ADHD? Overachievers are popping Adderall to get ahead. Is that a good idea? This morning, like every weekday morning, I showered, dressed, popped a cognitive-enhancement pill, and headed to the office. My brain drug of choice these days is Concerta, a long-acting form of the popular ADHD drug Ritalin. I’ve also taken Adderall in the past. As far as I can tell, one works about as well as the other. The drugs enable me to work more diligently and in longer spurts than I could otherwise. On any given day, they also drastically increase the chances that I will remember to do things like enter an appointment on my calendar, run an errand on the way home, and respond to emails in a timely fashion. My habit is legal, because I’ve been diagnosed with ADHD, attention deficit hyperactivity disorder, and I have a prescription. But in the past decade or so, psychostimulants like Adderall have exploded in popularity among people without a diagnosis or prescription. Studies indicate that as many as one in three students on major college campuses have used ADHD medications illicitly, most commonly as a study aid. The insatiable demand has led to shortages at pharmacies across the country. The law draws a bright line between the use of Adderall by people with ADHD and by those without. For the former, it’s therapy. For the latter, it’s felony drug abuse, punishable by up to a month in jail. The drug itself, however, does not draw the same bright line. And neither do a growing number of high-achieving, non-ADHD users who see it as the perfect cognitive-enhancement drug—a way to work more, sleep less, and get a better handle on their busy lives. In today’s competitive economy, some might label that cheating, akin to athletes taking anabolic steroids to gain an unfair edge. Others might suspect that nonprescription Adderall users are only cheating themselves—that the drug won’t really help you if you don’t have ADHD, or that deleterious side effects will counteract any short-term advantages the drug may confer. Perhaps it will even turn out to be seriously harmful. If that’s true, the current frenzy might turn out to be short-lived. But what if it isn’t? What if the neuro-enhancement craze is just getting started? But the prevalence of ADHD—about one in 10 children in the United States meet the diagnostic criteria, according to a recent survey—and the popularity of Ritalin and Adderall for treatment mean that they are far more widely available than other types of brain drugs. That’s especially so because inexpert doctors have a hard time distinguishing a patient who has ADHD from one who’s faking the symptoms to get a fix. Some people take the prevalence and subjectivity of the symptoms to mean that ADHD is not even a real disorder—that it’s simply an excuse for lazy parents to medicate their kids. It’s true that the disorder lies on a spectrum, as opposed to something like juvenile diabetes that you either have or you don’t. But as psychiatric disorders go, ADHD is in fact “quite discrete and very diagnosable,” says Scott Kollins, director of the ADHD program at Duke’s medical school. “It’s just not easy to diagnose within 15 minutes,” the length of a standard primary-care doctor visit. In a health care system that isn’t set up to reward careful psychiatric evaluations, some doctors simply shrug and write out the prescription. Others, wary of being played for fools, refuse prescriptions to patients who could really use them. 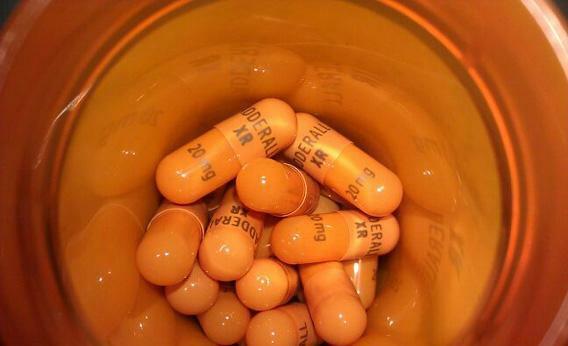 By law, Adderall is a controlled substance, in the same class as cocaine and methamphetamine. But many of the college students who are taking it don’t see it that way, says Alan DeSantis, a sociologist at the University of Kentucky who studies the culture of ADHD drug use on campus. He got interested in the topic a decade ago while conducting research for a book on fraternities and sororities. “I was asking students about drugs, and they kept saying something very interesting. They kept saying, ‘I don’t do drugs, but I do Adderall.’ ” The difference, in the students’ minds, is that drugs are bad for you and make you unproductive. They view Adderall more like a study aid, DeSantis says, and talk about it openly. In his surveys, up to 50 percent of University of Kentucky upperclassmen have reported using ADHD stimulants at one time or another, most often to cram for midterms or finals. To some, those numbers are cause for alarm. “The evidence is pretty clear that these are potent stimulants,” says Craig Rush, a professor of behavioral science at Kentucky. “They produce euphoria, and they have significant abuse potential.” Nora Volkow, director of the National Institute on Drug Abuse, told 60 Minutes in 2010 that she believes even casual use can lead to addiction. “It’s not worth the risk to be playing with a drug that has potentially very adverse affects.” Perhaps the most alarming portrayal of Adderall came in the form of a front-page New York Times article on Feb. 3, which gave the ADHD drug a starring role in the harrowing tale of a once-promising college graduate named Richard Fee who spiraled into depression, mental illness, and ultimately suicide. Yikes! But wait: If ADHD drugs are highly addictive, even deadly, then why don’t we hear more horror stories of Adderall addicts or overdoses? And why do the same experts who warn about the drug’s dangers say it’s fine for people like me to take it every day? Am I so expendable? The double standards implicit in the warnings about off-prescription use might lead you to think that the drug somehow acts differently on the ADHD brain than it does on the non-ADHD brain—that what’s soothing to one is likely to be either ineffectual or outright harmful to the other. But those who have studied the issue carefully, including Volkow, know that’s not quite right. Ritalin, Adderall, and their chemical cousins work in part by increasing the brain’s access to dopamine, a neurotransmitter that helps control the brain’s pleasure and reward centers. For people with ADHD, that could mean the ability to concentrate on tasks that would otherwise be painfully boring. And for people without ADHD … it could mean the same thing. I asked Plotz whether he ever finished that little stash he had tucked into the back corner of his medicine cabinet. He told me that he did—one at a time, here and there. Eventually, he went back for more. To this day, he keeps a few in his house and pops one occasionally for a pick-me-up. But he says he’s never been tempted to binge or begin using the drug on a regular basis. Is the use of brain drugs by healthy professionals cheating, like the use of performance-enhancing drugs by athletes? If it gives them an unfair advantage in the workplace, that could put pressure on others to take drugs themselves just to keep up. But unlike steroids, prescription stimulants don’t have clear, drastic long-term health impacts. And while the drugs can be life-changing for people with ADHD, especially kids who would otherwise be totally lost in the classroom, their long-term benefits for those without the disorder are murky. As useful as they may be during the occasional deadline crunch, no study has linked Ritalin or Adderall use in people without ADHD to sustained increases in things like grades or performance reviews. Forget steroids, then. Here’s an alternative analogy, less alarmist but perhaps unsettling in its own right. What if Adderall turns out to be the new coffee—a ubiquitous, mostly harmless little helper that enables us to spend more time poring over spreadsheets and less time daydreaming or lolling about in bed? For those of us whose natural predilections are to spend far too little time poring and far too much daydreaming, they’re a big improvement over self-medication via caffeine or cigarettes. But those without ADHD might well ask themselves: Don’t I work enough already? Read more from this series: Human enhancement is giving us superpowers once reserved for comic-book heroes; technology is expanding our minds; brain-computer interfaces let you move things with a thought; choose your own sixth sense; steel yourself with a robotic exoskeleton; and is China engineering genius babies?